Laserfiche—a leading global provider of enterprise content management (ECM) software—today announced that Angela Jordan, Building and Planning Department Head Secretary at Cowlitz County, Washington, is the recipient of the 2018 Tom Wayman Leadership Award. Jordan was recognized for driving innovative technology initiatives for Cowlitz County, as well as her leadership within the Laserfiche community. Cowlitz County is the 12th largest county in the state of Washington and serves more than 100,000 constituents. Jordan, who has been with the county for 10 years, has championed the use of Laserfiche throughout the county in order to provide better citizen services. In addition to driving high-impact digital initiatives at Cowlitz County, Jordan has differentiated herself as a leader within the Laserfiche community. She regularly shares her advanced knowledge of the software at user groups and at conferences, inspiring other tech leaders to think outside-the-box to reinvent processes and transform their organizations. 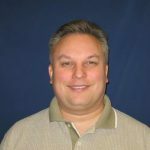 The Tom Wayman Leadership Award was introduced in 2014 and honors an exceptional individual within the global Laserfiche community who exemplifies extraordinary leadership, vision and commitment to sharing the Run Smarter® philosophy. 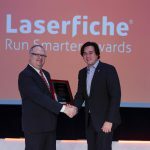 The awards ceremony took place during the Laserfiche Empower Conference 2019 in Long Beach, California.